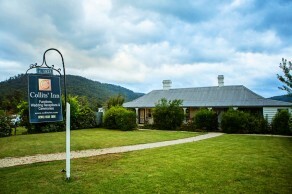 It was lovely to be back at Loxley On Bellbird Hill for my last wedding of the year. It had been quite a while since I was last there. The grounds were looking very lush after all the rain. When you have been photographing many weddings over the years, it is always lovely seeing a bride and groom do something a little different from the norm. I was delighted when I saw Lisa in a black wedding dress and her bridesmaids dressed in white… quite the opposite from the norm! The weather was perfect for an outdoor ceremony on the deck with its majestic views toward the city. I love all the nooks and crannies at Loxley. There are lots of secret pathways with lush rainforest backdrops… perfect for that softer light on a bright sunny day. As you can see in the photos below, I have kept most of the images in colour. It just didn’t seem right to convert images to black and white when the colour was so lush with all it’s varying shades of green… but I am a little biased as green is my favourite colour. 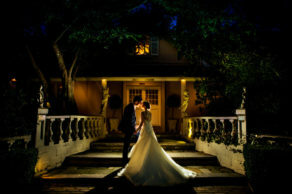 Many wonderful memories came flashing back when I photographed Meghan and Samuel’s wedding. 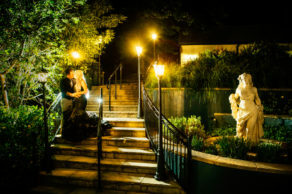 My lovely wife and I having recently celebrated our 25th wedding anniversary, had our reception at the same beautiful venue, Oatlands House. How special it was to be back there 25 years later. Meghan and Samuel were blessed with such a perfect Autumn day after weeks of rain. Their ceremony was held at All Saints Anglican Church Parramatta, which is a grand Victorian Academic Gothic architectural building. I love the tall steeple. 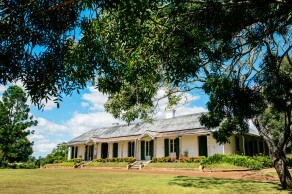 We then headed off to a favourite location of mine in Parramatta… Elizabeth Farm which is an iconic early colonial bungalow with deep, shady verandahs and elegant symmetry. The house is surrounded by gorgeous gardens and amazing trees. The whole venue is an absolute photographer’s paradise, hence why it is one of my favourite locations. I could have stayed there all afternoon, but it was time to head to Oatlands House for some more beautiful location photos and then the reception. I had an absolute ball capturing Meghan Samuel’s wedding. Please enjoy some of my favourite highlights from their special day. It was hard to cull. After 30 years of photographing weddings, it is very rare for me to come across a wedding venue that I haven’t photographed before especially when it is situated up here in our stunning Blue Mountains and surrounds. 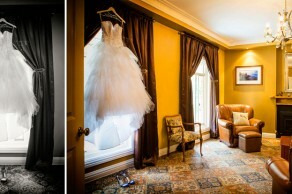 So how excited I was to be capturing a wedding at Collits’ Inn for the very first time. This place is such a rustic charmer and surrounded by absolute gorgeous countryside being situated in the historic town of Hartley. 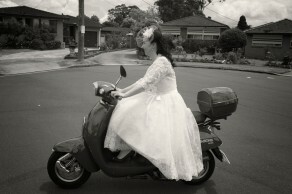 Krystal and Kane were married at St Peter’s Anglican Church, Mt Victoria. Before heading back to Collits’ Inn for the reception, we stopped at Pulpit Rock which is a very fitting name for the lookout. 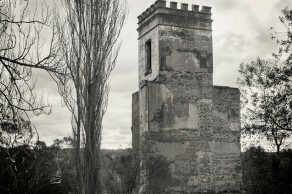 One of the great pleasures of living in The Blue Mountains and being a local wedding photographer up here is the spectacular lookouts we can use at our leisure for a jaw dropping backdrops. During the shoot there, a very tame currawong came and perched itself close by on the ‘rock pulpit’ and made for a wonderful ‘spectator’ in the photo. 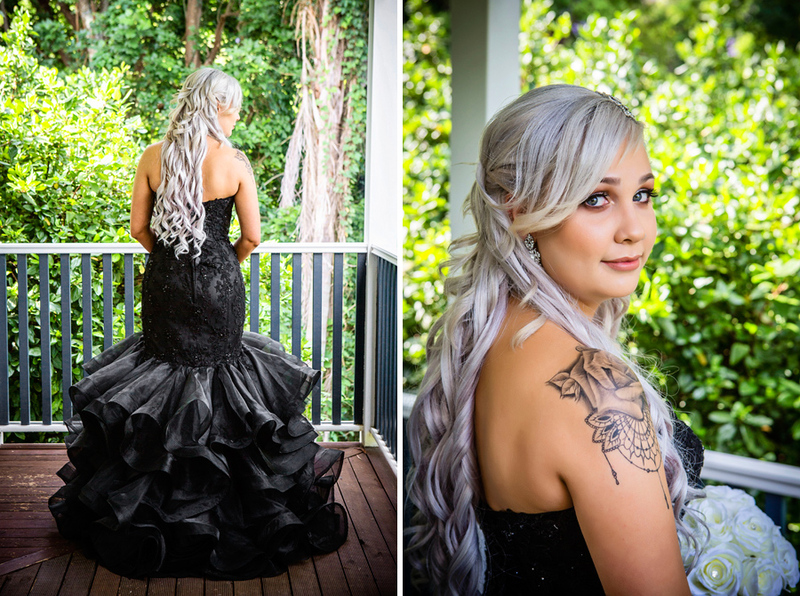 I had a total ball capturing Krystal and Kane’s wedding. Adding to the excitement was an amazing storm cell that surrounded us later in the afternoon. Fortunately it didn’t downpour on us but wow, what an amazing sunset we had. The dappled sunset colours on the storm clouds was just phenomenal. I had never seen anything like it before. I hope you enjoy viewing the selection of images shown below from the day as much as I enjoyed capturing them. 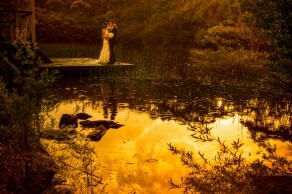 Thank you Krystal and Kane for giving me the honour of photographing your very special day. As 2015 has come to a close I wanted to share one of my favourite weddings of the year. It was an honour to photograph another wedding of a family member from a past bride. 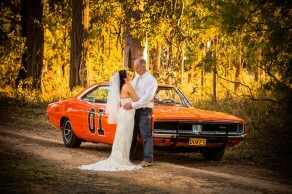 Jade and Michael had a very laid back wedding at Gledswood Homestead & Winery. It was so good to be back at this beautiful place. The locations were never endless gorgeous backdrops, matched with brilliant, magical light. You couldn’t have asked for more perfect weather. What more could a wedding photographer as for? Oh and Jade’s lacey dress was just stunning too. I hope you enjoy looking back at these images as much as I enjoyed capturing them. I’ve just been looking at your photos of Jade & Michael’s at Gledswood. They are fantastic!! We would love to share some of the images on our Facebook page and website if you would be happy for us to do this, with credit for your work of course. I love getting to know my clients before their big day and there is no better way than taking them on an engagement shoot. I also love photographing in winter light. The light so gentle and soft, along with it’s majestic sunsets. I am pretty chuffed with these lovely relaxed shots of Katie and Andrew. They were not fazed at all being in front of a camera. I took them to five different locations which made for a wonderful variety of different backdrops for their shoot. Now you might think, wow that would have taken all day, but we actually did the shoot in less than three hours. Pretty quick, hey! It pays to have local knowledge of our stunning Blue Mountains. Here some of my favourite photos. I am really looking forward to their big day coming up very soon.